The father of four children killed in a Lubbock house fire Wednesday night has been charged with abandoning or endangering a child. Wesley Lance Harvey, 28, was placed under arrest for unrelated misdemeanor warrants on 11-8-18 at approximately 5:00 am. While continuing the investigation an additional warrant for abandoning or endangering a child was obtained for Harvey. The warrant accused Harvey of leaving the home with the children unsupervised for an hour. A space heater was in use in the home at the time of the fire. Harvey was watching the children while his wife was at work. "Deputies responded to a structure fire at 14002 CR 1430 in Lubbock County. After the firefighters fought the fire for approximately 20 minutes Wesley Harvey arrived on the scene. At that time he informed officers that his children were in the residence. "Members of the Woodrow fire department entered the residence and retrieved all four of the children, Elijay Lucas (7 yoa), Kenneth Harvey ( 4yoa), Twilah Harvey (3yoa), and Weslynn Harvey (2 yoa), from the residence. "All four children had obvious burns and smoke related injuries and did not appear to be breathing. They were all treated at the scene and the youngest child, Weslynn, was pronounced dead at the scene. The other three children were transported to UMC where they all were pronounced deceased due to apparent burns and fire related injuries. "The father of the children, Wesley Harvey, later stated that he was in care custody and control of the children while his wife was at work during the evening of November 7, 2018. He also stated that he left the children alone in the residence for approximately one hour after they went to sleep and he left the area in the only vehicle used by family. He had no obvious means to monitor the children or communicate with them while he was away from the house." Harvey is currently in the Lubbock County Detention Center awaiting arraignment on all charges. Lubbock County Sheriff’s deputies responded to a structure fire in the 14000 block of County Road 1430, at approximately 11:00 pm on Wednesday. Deputies along with Wolfforth and Carlisle Volunteer Fire Departments and Emergency Medical Services located four children inside the residence and attempted lifesaving measures. All of the children aged one year to seven years old are deceased. 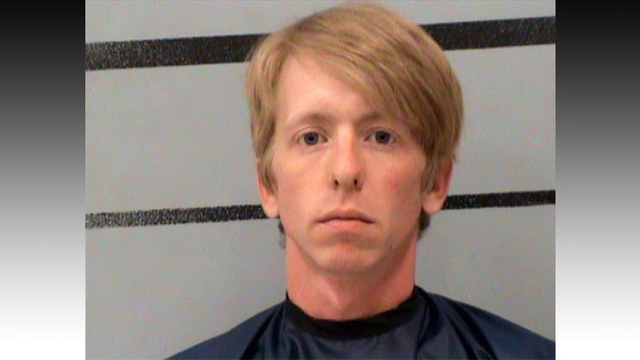 The State Fire Marshal’s Office and the Lubbock County Sheriff’s Office are continuing to investigate the cause of the fire and any pending criminal charges.